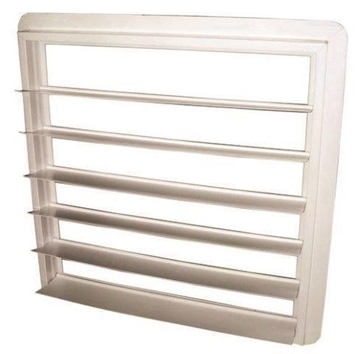 Ideal replacement shutter on existing fans, shutters feature heavy PVC frames with reinforced corners and a 7/8" flange. Airfoil designed vanes have a spring steel rod extending full length through the core instead pins at the ends. Call 866.464.7528 for quote on custom built sizes. Replacement PVC fan shutter with PVC frame.